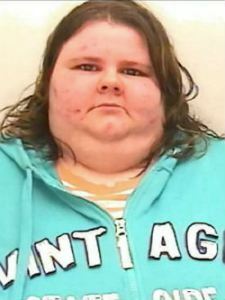 24 years old Michelle Chapman from Cornwall United Kingdom, was jailed for trolling herself. Mr Jackson father of Michelle chapman decided to trace his daughter after getting married to Louise Steen in 2010 and after 21years father and daughter were united. Chapman travelled to her father’s home in north of England and eventually they started quarrelling. After falling out from her father and step mother, Michelle’s online campaign of splitting them up started by sending some bizarre and unpleasant sexual nature abuses started. Initially to frame her father, step mother and other family members she reported police about these trolled and abusive messages. On the basis of this complaint, police arrested Michelle’s step mother Louise and warned her father Roy Jackson and other bewildered relatives for not behaving the same. From February 2011 to October 2011 Michelle Chapman has made 8 complaints against her family members. She later admitted her offence and also explained that she wanted to make life of her family members’ hell. Chapman’s year long vendetta was only rumbled when the cyber experts confirmed that the offensive Facebook accounts were set up from Chapman’s registered house address at Par in Cornwall. Details of this criminal plot was revealed at Truro Crown Court , Cornwall. During trials she also admitted that her thread of abusive messages between February 2011 and March 2012 were the consequence of her intentions to drag her family members , her step mother and father in to the court of justice. Martin Pearce on Chapman’s defence said that she is suffering from mental health problems and also understands that what her victimized family members must be going through. Glyn Chapman, 57 year old husband of Michelle also cried for help for his wife as she suffers from mental health issue. Judge Christopher Harvey Clark confiscated her computer, and gave her order of not maintaining any kind of contacts or relations with the victimized family members. He also added that due to her malicious and abusive behavior many people got stress and uninvited disappointment.